1. I called 2 months in advance give or take a few days, waking up at 4:30am EST (10:30am in Paris) on a Tuesday to make the call since they are closed weekends and Monday. 3. I confirmed my reservation two days before. We arrive shortly before our 8pm reservation on the day itself. We’re asked to wait outside even though it is insanely hot because the restaurant is not yet ready. It’s a relatively small place, with 8 tables on the ground floor capable of seating about 20 or so. Ordering is simple since there are only two choices: Le Diner Surprise, a tasting menu where the diner has absolutely no idea what he’ll be eating, or Le Diner Surprise with an equally anonymous wine pairing. We opt for the the latter. 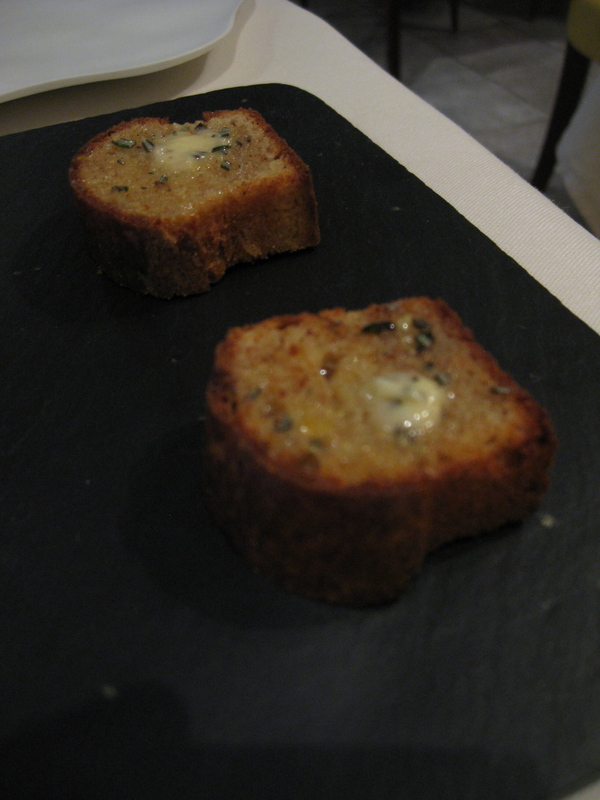 The meal starts off with an unassuming amuse bouche of brioche with rosemary butter. Maybe the chef is just trying to lull the diner into a state of complacency with the tidbits. Then, BOOM. Shock and awe. 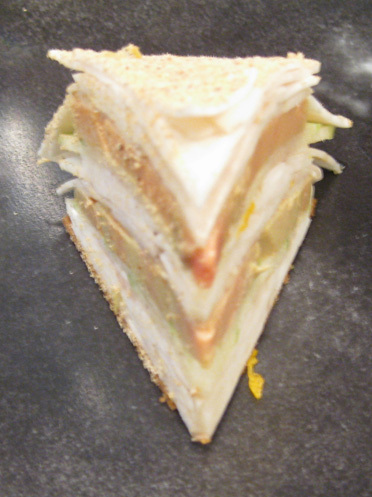 This is their signature dish, a wedge of foie gras and granny apple slices placed snugly between shaved raw white mushrooms meticulously arranged in overlapping layers like shingles on a roof. This is accompanied by an invisible pool of hazelnut oil on one side and lemon curd on the other. 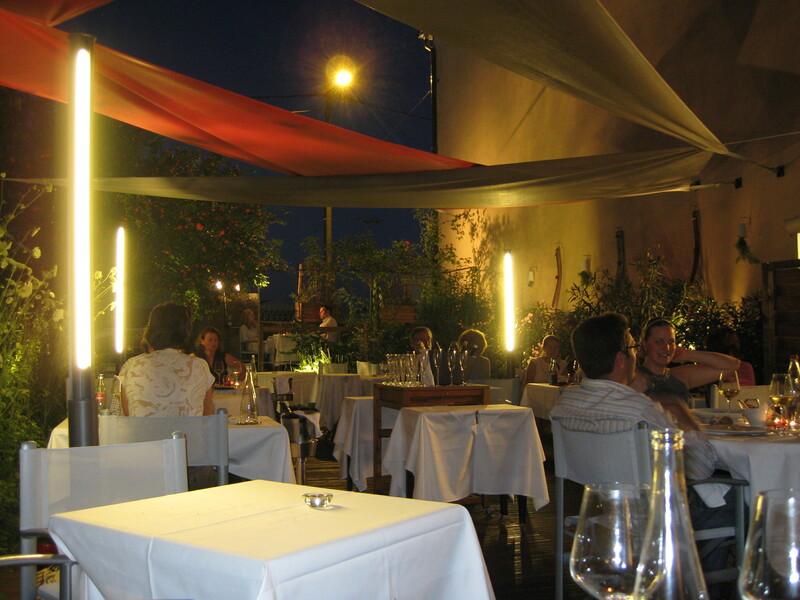 During our last evening in Burgundy, we dined at Aux Terrase in Tournus. It’s a little more than a half hour drive from Chassagne Montrachet and well worth it. Dining al fresco amidst blooms and foliage makes it easy for guests to forget that they are situated in front of a truck stop and a supermarket. 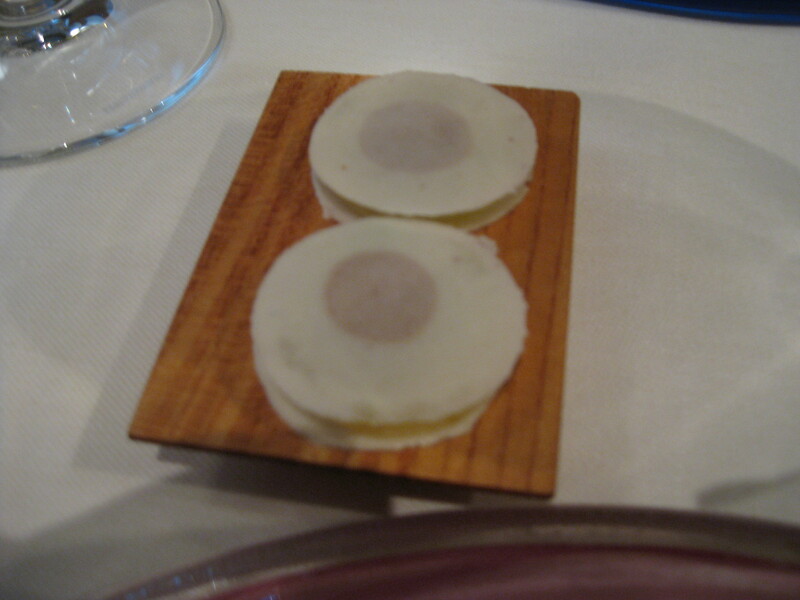 Despite earning a Michelin star, Aux Terrasse remains very casual and reasonable, offering a four course menu (that’s really six) for 45 Euros. Tiny cherry tomatoes with basil cream and mustard seed. Gougeres (cheese puffs). Carrot cream with pumpkin seed and chive that reminded me of my favorite dish at Lameloise. At this point, I knew we were going to be in for a great meal. Named after the street where it lives, Caves Madeleine is one of those rare gems propagated by word of mouth. Though not on the Michelin Guide, it’s on the tip of the tongues of food enthusiasts both local and foreign. We’re there for lunch, sitting at the table for two by the store front window, our entire meal on display to passers-by. 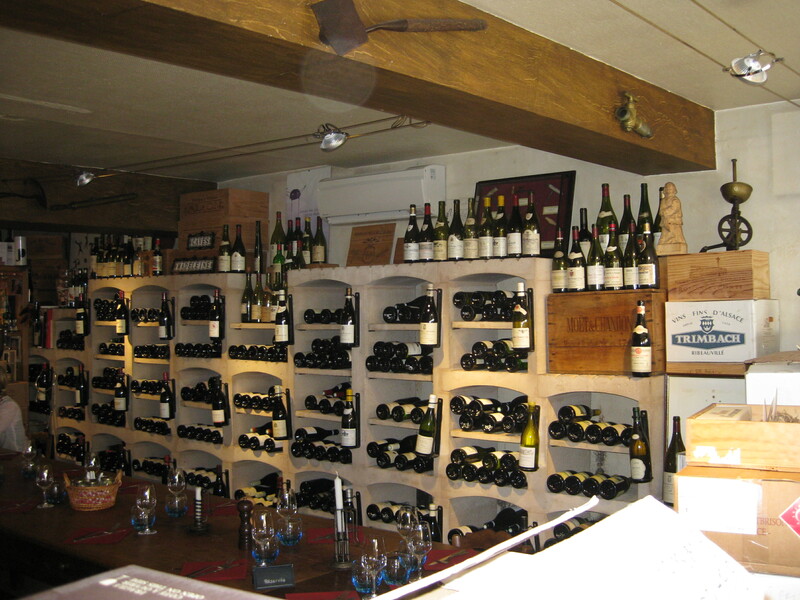 Stacks of wine boxes separate us from the rest of the dining area with its long communal wooden tables and blackboard menu at the far end. 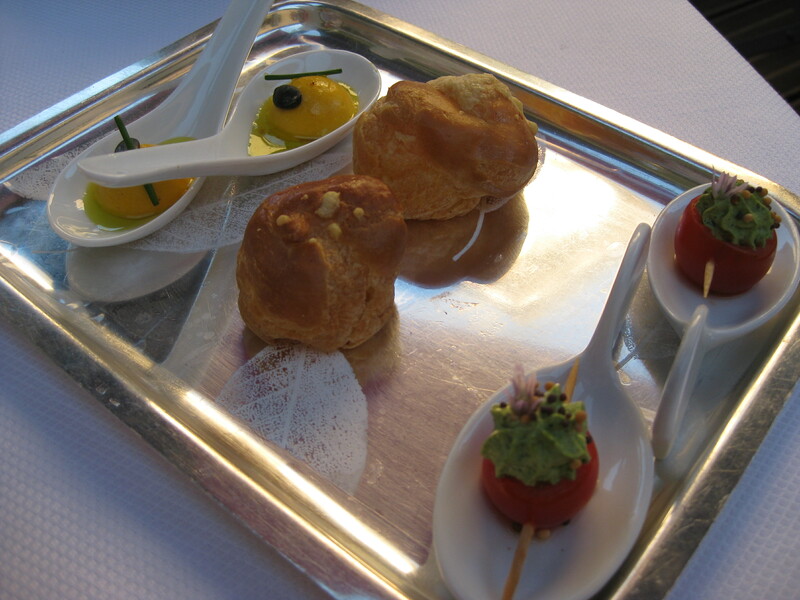 A three course meal is 24 Euros while two courses only cost 14 Euros. We decide to get one of each and just split the dessert. 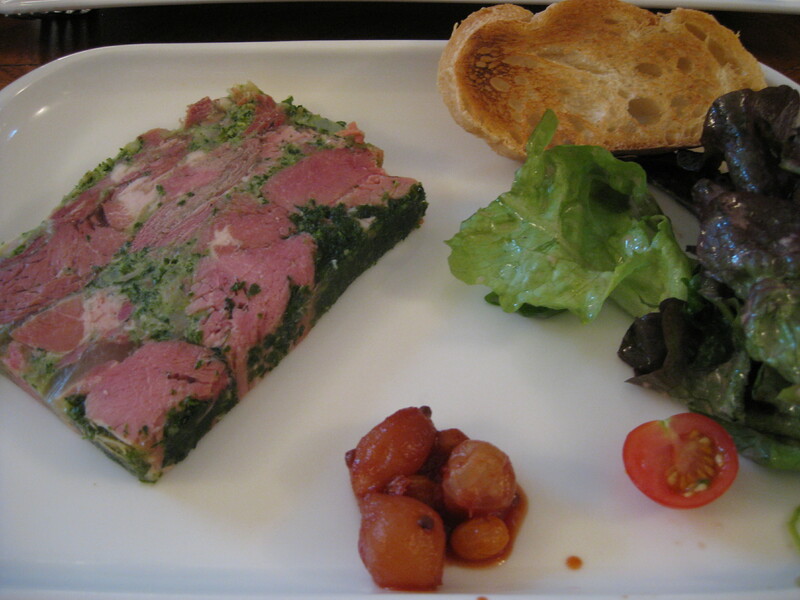 Salade de Gesiers. It’s rare to find a dish starring gizzards in US restaurants. It’s a pity that it doesn’t have menu appeal, because this dish is just lovely. 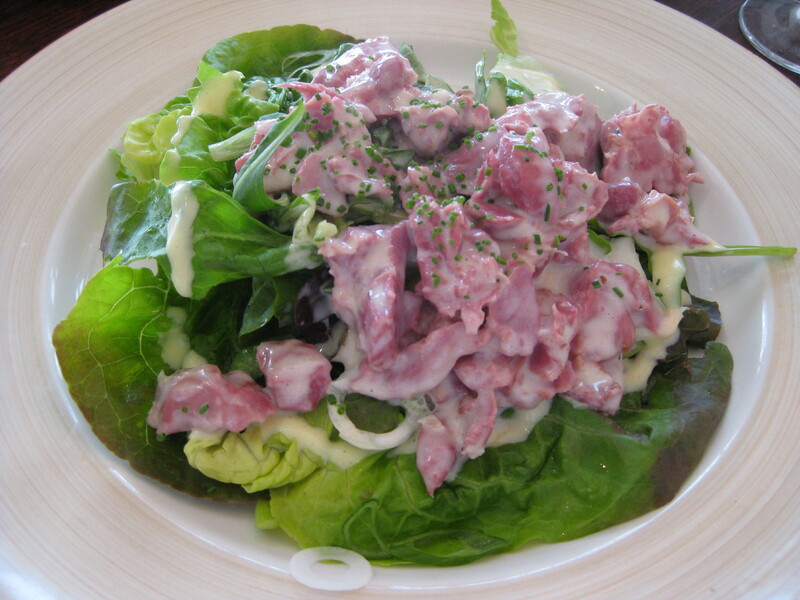 Tender chunks of gizzards tossed in a tart creamy dressing and laid out on a bed of bibb lettuce. 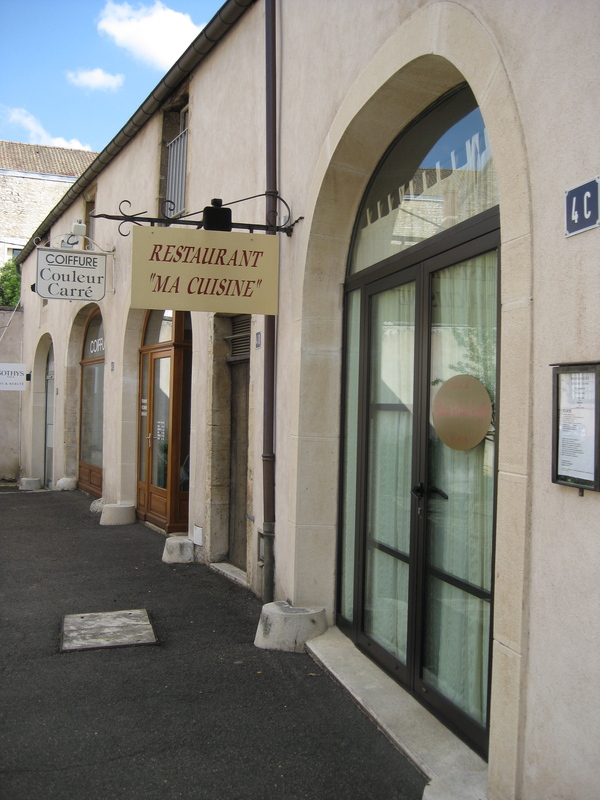 You won’t find this restaurant in the Michelin Red Guide; yet, Ma Cuisine is universally recommended through word of mouth as THE place for solid local Burgundy cuisine. 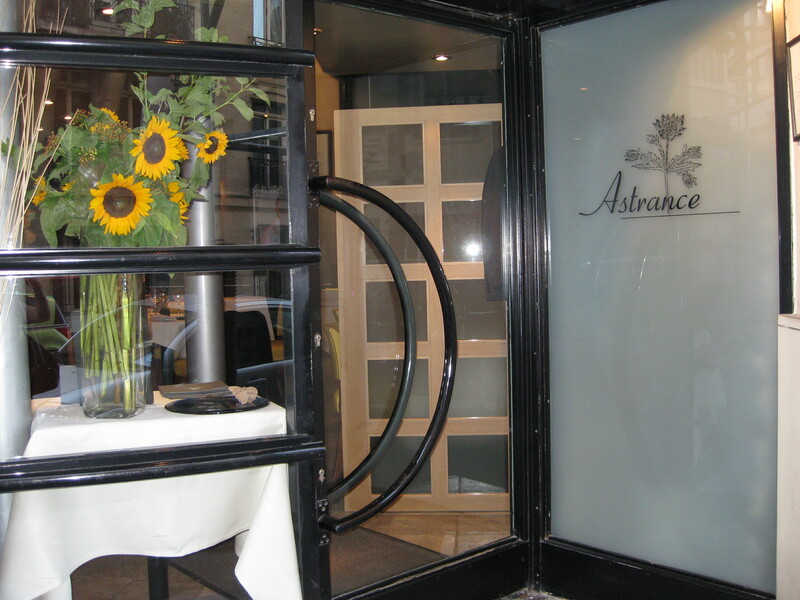 The restaurant is named after the book by Auguste Escoffier, the culinary legend many deem as the father of French cuisine, and its proprietors, the husband and wife team of Pierre and Fabienne, even share his last name (no relation I believe). However, Ma Cuisine breaks from the norm with an unusual case of role reversal: the husband covers the front of the house while the wife commands the kitchen. As we step inside the modest-sized restaurant, we are greeted by chatter in a familiar twang. We look around in surprise. Not a single Frenchman. On our right is a couple from Texas, on our left is a party of six from California’s wine country, and the remaining two thirds is a large contingent of Asian Americans with kids and nanny in tow. “Where are all the locals?” I think to myself. The farmhouse tables, wooden chairs, blackboard menus and “no-decor” decor may lull people into thinking that their pocketbook is safe here. That notion flies out the window when they open the wine list, a veritable book crammed with grand cru wines in fine vintages. A closer look at the blackboard also induces some sticker shock since some entrees cost nearly 40 euros. 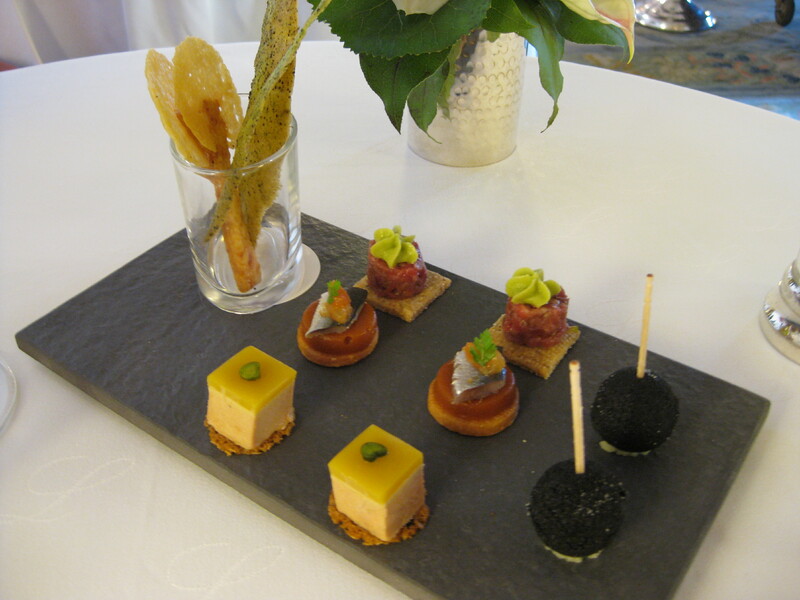 Nevertheless, since we only had a sandwich for lunch, we splurge on four appetizers and an entree to share. 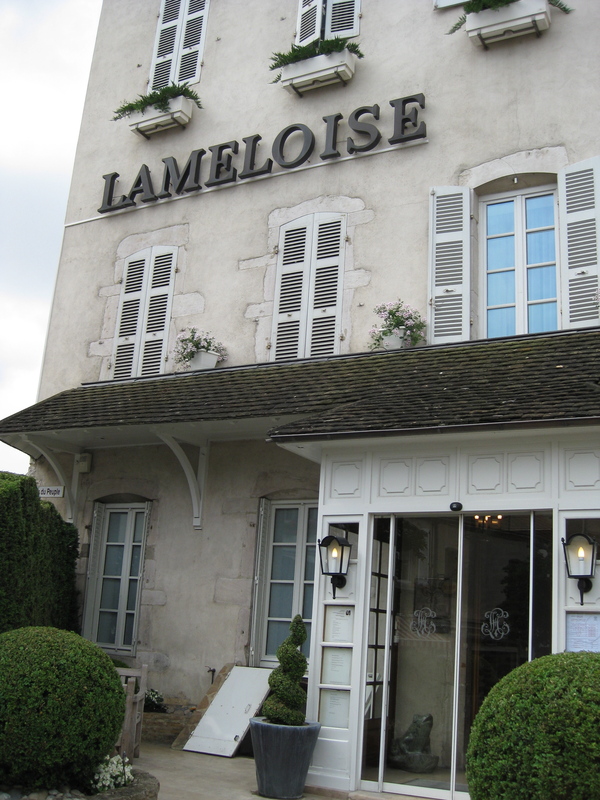 Lameloise is the three star Michelin restaurant in Chagny that is uniformly praised by food critics and bloggers alike. It has been in existence since 1921 where, until recently, two generations of the Lameloise family helmed the kitchen. The toque has since passed to Eric Pras, a recipient of Meilleur Ouvrier de France (Best Craftsman of France); the front of the house, to his nephew, Frederick Lamy. Both continue the tradition of excellence that enables the restaurant to remain at the top of its game. At 8pm, we’re the first guests to arrive. 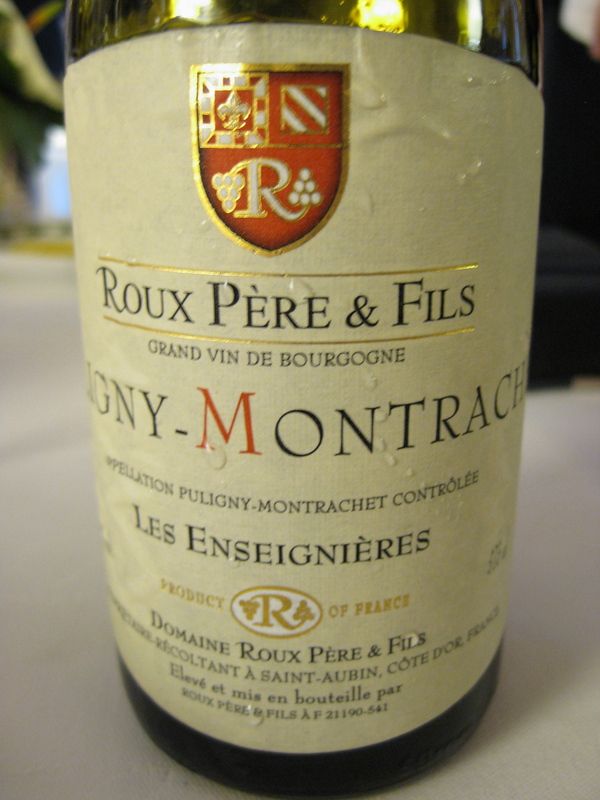 Instead of aperitifs, we start off with a 2008 Puligny Montrachet that fills our wine glasses with a discernable aroma of fresh almonds. 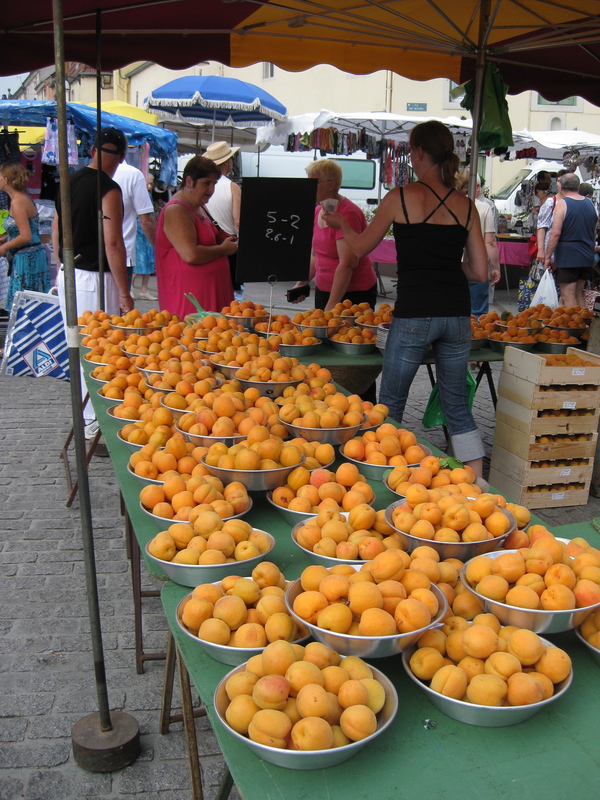 Sunday is market day in the town of Chagny, twenty minutes south of Chassagne Montrachet. It’s 9:30am and the vendors have just finished setting up their wares. The stalls on the outer edges mostly sell clothing or provencal fabrics for tablecloths and curtains. We snake past them in search of food. As with many other greenmarkets, it’s all about seasonality and variety. The town of Chassagne Montrachet sits on about 6.5 sq km and has a population just shy of 400 people, but you’d never know it from the empty streets and shuttered windows. 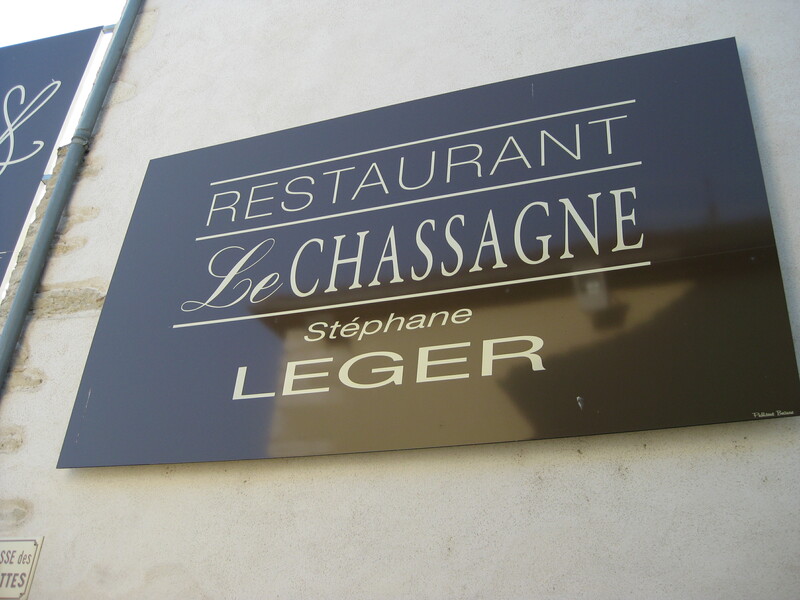 The only signs of actual inhabitants are the cars parked in the town center across from its one star Michelin restaurant, Le Chassagne.